Who is a stranger to us? Do you have very many acquaintances? What are important characteristics of a friend for you? Have you ever had a close relationship with another you could call a brother or sister? Have you discovered the greatest, long-lasting relationship of all? Do you know that this is available to you? 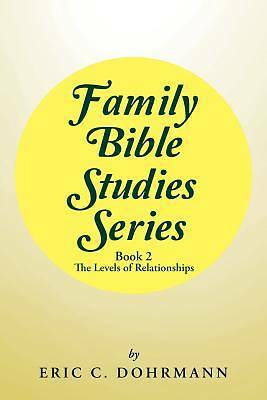 These are some of the questions that are addressed in discovering the levels of relationships in Book Two of the Family Bible Study Series. It is helpful to know where we stand in the relationships we have. All relationships have a process of growth in order to continue and benefit those involved in them. Each becomes a contributor in order for the relationship to continue to benefit one another. Discovering where one is at in the levels of a relationship will help one know better how to proceed from there. Is it growing together? Is this a short term or long term relationship? What will it take for a particular relationship to continue and be a benefit for both involved? Is this a developing friendship or simply a business relationship? In the midst of all the relationships we encounter, the long-lasting ones tend to be the most rewarding over time. Here in Book Two, discover the single most long-lasting relationship and how this one relationship includes the other relationships within it also, making it by far the best relationship of all Enjoy the discoveries.